For 30 years now, we have developed into a competent and successful company. Company founder and Managing Director Thomas Xinos is a long-standing specialist in the field of buying and selling used and new commercial vehicles such as concrete mixers, concrete pumps, tippers, semitrailers. Thanks to our established business connections both in other European countries and in the Arab world, the company has made a name for itself internationally. Today, we are also looking forward to customer orders in South America and Southeast Asia. 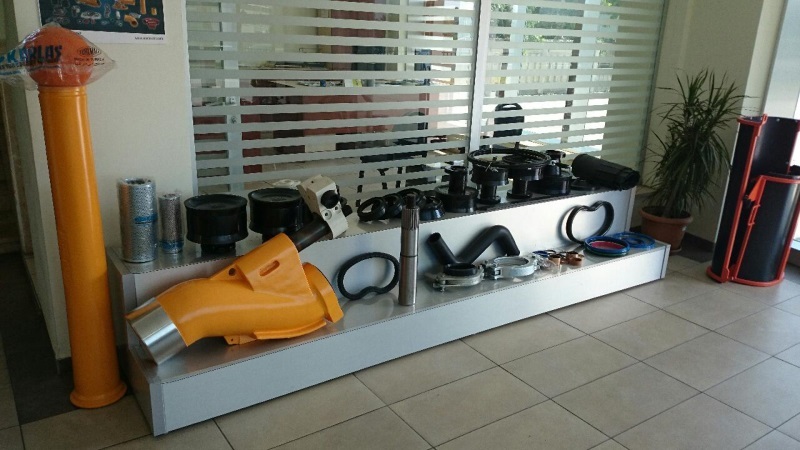 From the first sales talk to the complete purchase processing and vehicle handover, we are qualified to assist you. We transport and ship vehicles on request with forwarding agents as well as with our own drivers. – of which you can profit today! 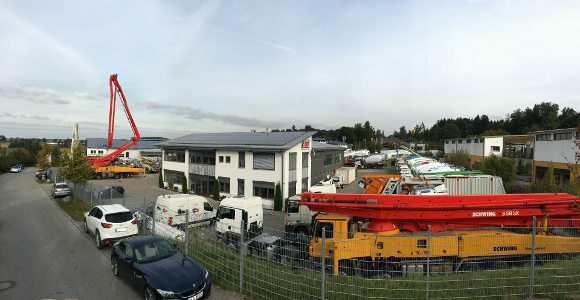 In our sales offices in Sulzemoos near Munich, Oscar-von-Miller-Ring 5, directly at the A8 Munich-Stuttgart, you will find a wide range of used and construction vehicles for sale as well as for rental. In our own workshops, all vehicles are inspected, repaired and, if necessary, reprocessed before being handed over by our qualified personnel, so that they are ready for use at any time. We guarantee that. In close cooperation with the market leaders in the concrete pumps sector, the company Schwing GmbH from Herne, which operates in our house an office, we can also offer services and spare parts for sale. With the company Putzmeister Holding GmbH from Aichtal and the company Liebherr GmbH, we also have competent partners who support us in all matters. Since 2014, we are also working closely with Spanos Mobispa, the specialist for mobile concrete mixers. A multilingual team is available to you at all times with all your experience and together with you will find a constructive solution for all your needs. Concrete pumps and concrete mixers of all makes have been sold and sold at the highest professional level since the beginning of the company's history. When can we welcome you on our business premises?